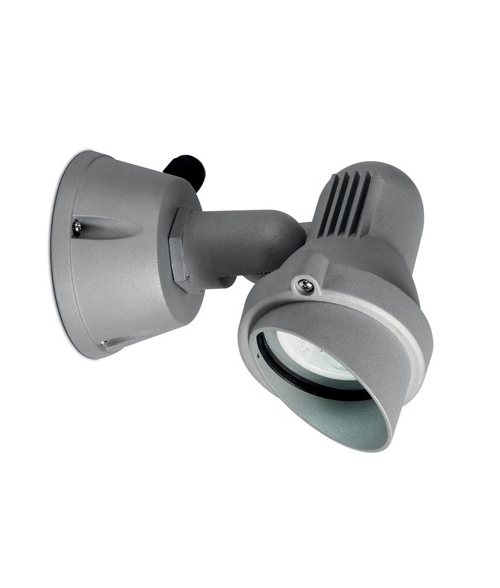 A matt silver narrow beam LED energy saving adjustable spotlight for exterior use. Can be fixed to a wall or used with a ground spike. 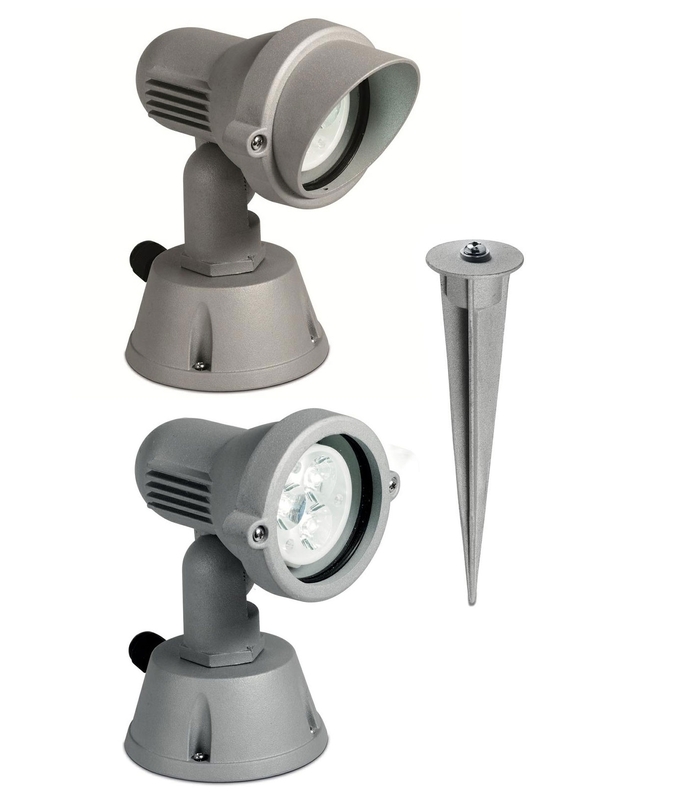 In the box are two castings for the front of the spotlight plain and a glare reducing shield plus an aluminium spike measuring 165mm long for use in soft ground. The head of the fitting can be tilted and locked in place to suit your requirements. Inside are 3 LED chips, a narrow lens optic and a built in power supply. One really useful feature is the gland cable entry on the side of the housing which means that the spotlight is great for use in situations where it is difficult to bring the supply through the rear of the fixture i.e. when fixed to wooden structures, surface mounting on concrete or when used at high level in a tree to create a moonlighting effect. That said cable entry via the rear is also accommodated. The LED chips give a white light (4000°k) and have a 30,000 lamp life. Light output has been measured at 1050 lux at 1.0 metre. Built-in driver means only a mains connection is required.